Welcome to Alameda Little League, California District 4! 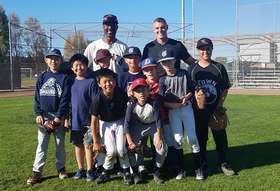 Alameda Little League is a community organization driven by dedicated volunteers whose primary purpose is to provide an outlet for healthful activity and training under positive leadership. The objective of the League shall be to instill firmly in the children of Alameda the ideals of good sportsmanship, honesty, loyalty, courage and respect for authority, so that they can be well adjusted, stronger and happier children and grow to be good, decent, healthy and trustworthy citizens.Our Board of Directors serve as volunteers and receive no compensation for their time. If you reached this website by keying in www.alamedalittleleague.org you need to close this page and clear your browser cache. Please bear with us while we iron out the kinks. You do not need to create a log in to access the new site. Registration for all baseball programs is now closed. Registration for the 2020 season will open in September! Please follow this link to see new website Field Status. Press the headline above to purchase tickets. Press the headline link to register. - Mar 14 - CPR Training - Location TBD. All managers are required to be certified, parents are also invited. FREE event. Three former Alameda Little League players were drafted in the 2018 Major League Baseball Amatuer Draft!!! Congratulations go out to Osiris Johnson, Michael Perri and Kaleo Johnson. Osiris Johnson, a 2nd round pick and the 53rd overall pick by the Miami Marlins. Osiris just finished his Senior year at Encinal High School. Michael Perri was a 21st round pick by the St Louis Cardinals. Michael graduated from Bishop O’Dowd High School and graduated this year from the University of San Francisco. Kaleo Johnson was drafted in the 32nd Round by the Tampa Bay Rays. Kaleo a graduate of Encinal High School just finished his junior year at Montana State University Billings where he became the first player in school history to be named a consensus All-American! Congratulations again to these former Alameda Little League players and their families on a dream come true! During PRE-SEASON on-field practices, each team gets one cage during practice time. 4 fields, 4 cages, one cage per team. Minors Field Pre-Season Practice Cage - Minor Away - cage in the middle of the cluster of three cages in the Majors outfield. T Cage - cage nearest Major Home. That one is first come, first serve. Please leave it open for walk-ups. - The cage adjacent to the Minors Visitor cage is for use by the Majors Visitin team. A reservation calendar will be built out on the Fields share by March 10. Get your official Alameda Little League merchandise here at the ALL On-Line Store or by clicking on the image above while benefiting ALL! Little League International has partnered with PrepSports for this unique opportunity that benefits local leagues. 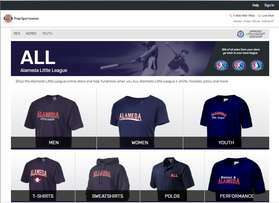 Alameda Little League receives 15% of sales. Curious as to where your registration fee goes? 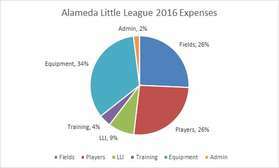 Alameda Little League prides itself as returning 98% of your registration fees back to the kids and Little League. The pie chart shows how the 2016 budget was allocated. We do our best to assure that dollar for dollar your children get the most out of your registration fee. Curfew is referenced in the Local Rules and its definition is given here. Curfew is 9:30 on Tuesday-Thursday and 10:00 Friday & Saturday. At Curfew, the lights are extinguished. AAA Games: In AAA games preceding a 7:15 night game there will be a "hard" stop at the 2 hour mark. All AAA games before a 7:15 night game will end precisely at 7:00pm regardless of its start time. Please review rule 4.10(d), "regulation" game and rule 4.11(d) Exception for incomplete innings. Majors Games: No time limit may be imposed due to Little League rules, however, the lights must go out at 9:30 PM on games Tuesday through Thursday, and 10 PM on Friday and Saturday. Rule 4.10 applies. ORDER YOUR ENGRAVED BRICKS NOW! As you may have heard at opening ceremonies, Alameda Little League has a great fundraiser starting up. You can purchase customized laser engraved bricks that will be installed on or around the snack bar. These bricks are similar to the custom bricks you may have seen at Disneyland. You can customize it to say your players name, your family name, your team name - whatever you'd like. 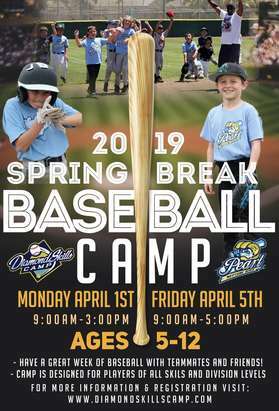 This is your chance to leave a lasting memory at the Little League fields! The cost is $100 for one brick/$150 for two. This fundraising effort is for the Alameda Little League General Fund only and will not go to any one team. All proceeds are used to keep registration fees as low as possible. The order form can be found on the little league website, www.alamedalittleleague.org. If you have any questions, please feel free to contact me at (510) 769-6031 or via email at ron-matthews@comcast.net. 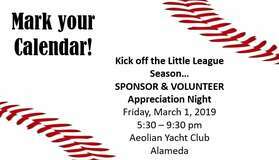 Thank you for supporting Alameda Little League! If you would like to help Alameda Little League serve the community in the form of a donation simply press the button below. By pressing "Donate" you will be taken to a secured PayPal site for the processing of your transaction . WE THANK OUR SPONSOR! PLEASE RECOGNIZE OUR SPONSORS BY PATRONIZING THEIR BUSINESSES!! Thank You Sponsors! The 2014 sponsor list is available in the Sponsors section of this web site. If you have any comments, concerns or questions regarding this website, please email webmaster@alamedalittleleague.org. Did you know that we average 10,000 hits per week on this website during the playing season? This is a great place for local business to advertise while supporting Alameda Little League. The two banner ads on the top of this website are available. All proceeds benefit Alameda Little League. For more information please contact Ron Matthews at ron-matthews@comcast.net.